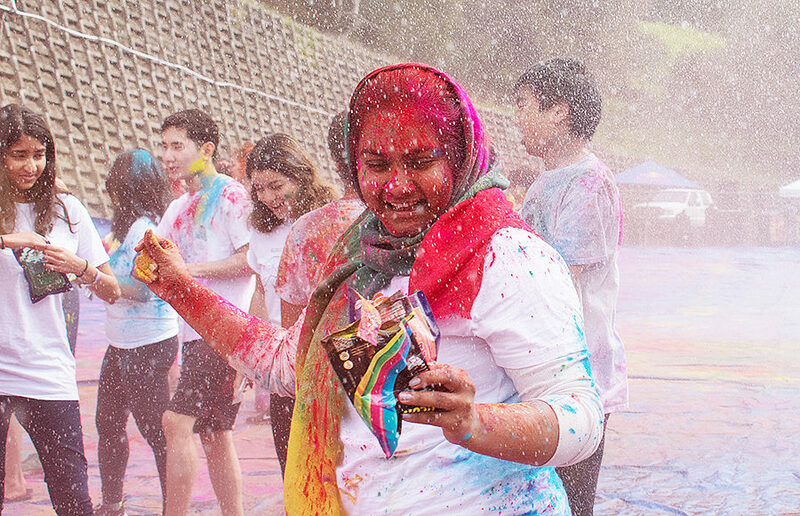 Participants smile underneath layers of brightly colored powder. 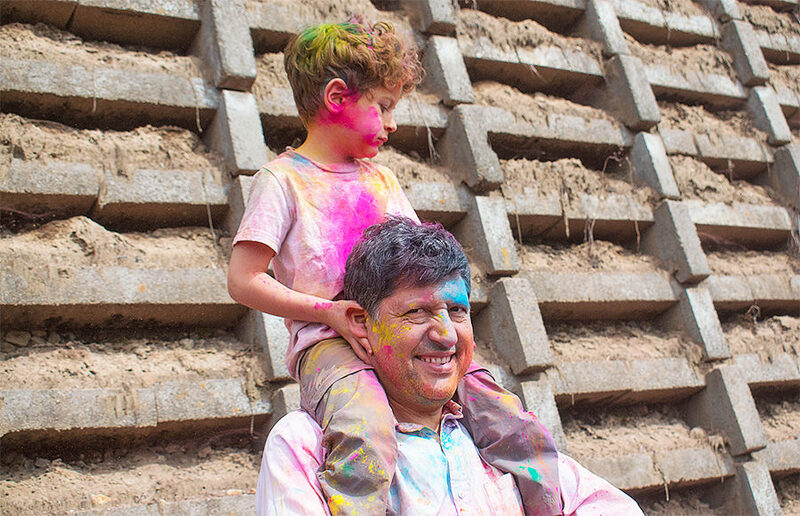 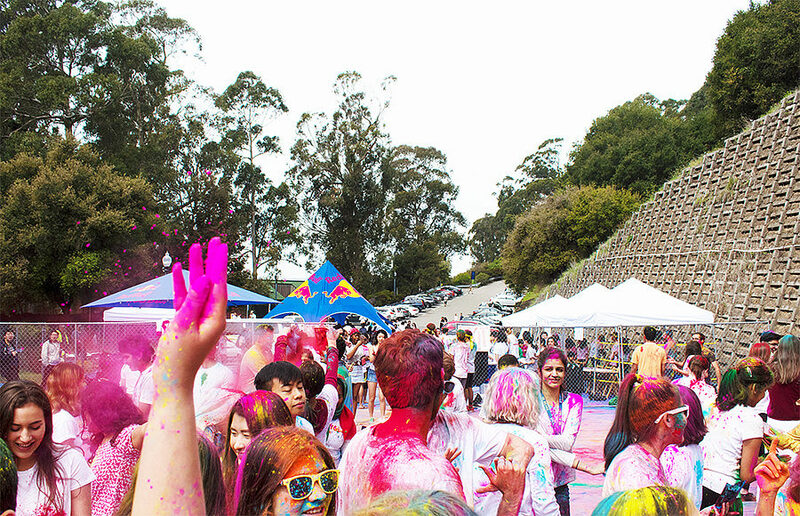 Hundreds gather in the Foothill parking lot to celebrate Holi. 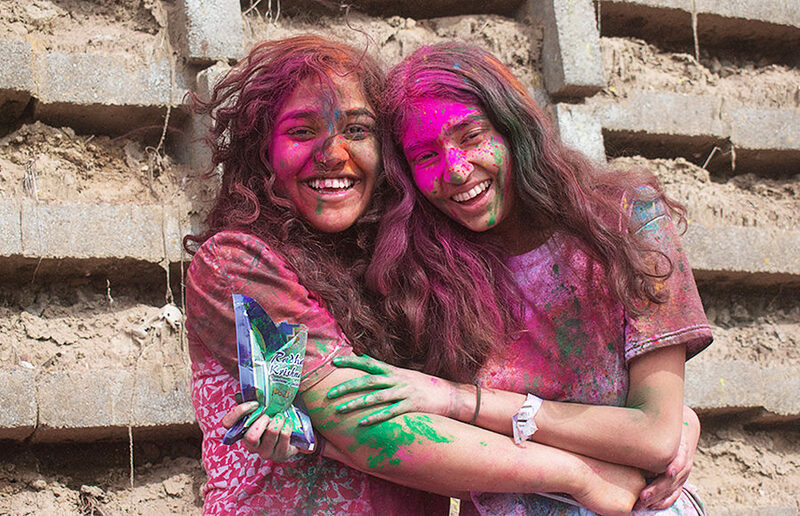 Attendees cover each other with colored powder to celebrate Holi. 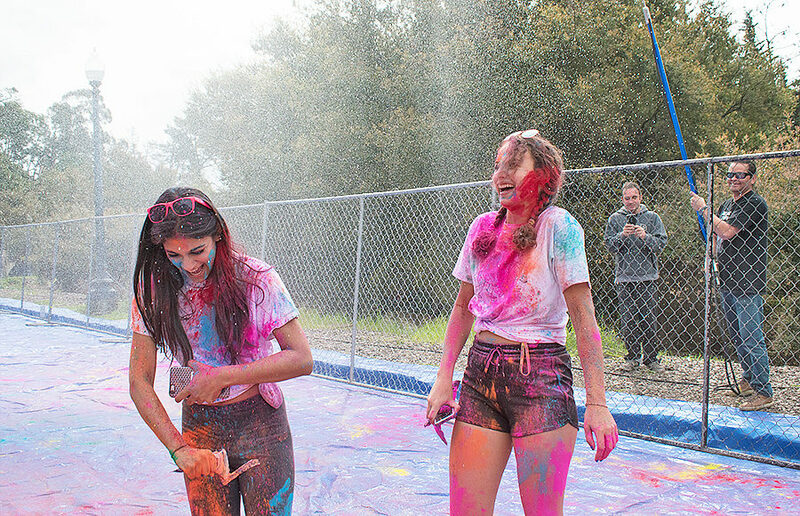 Students laugh while being sprayed with water. 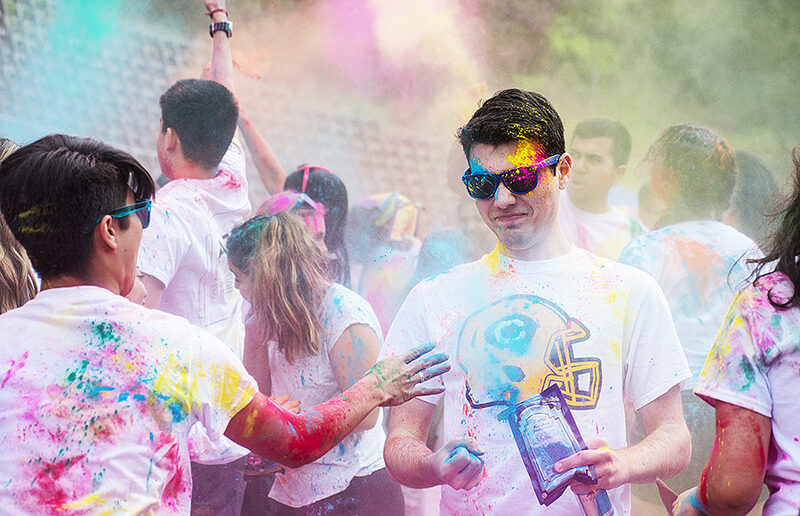 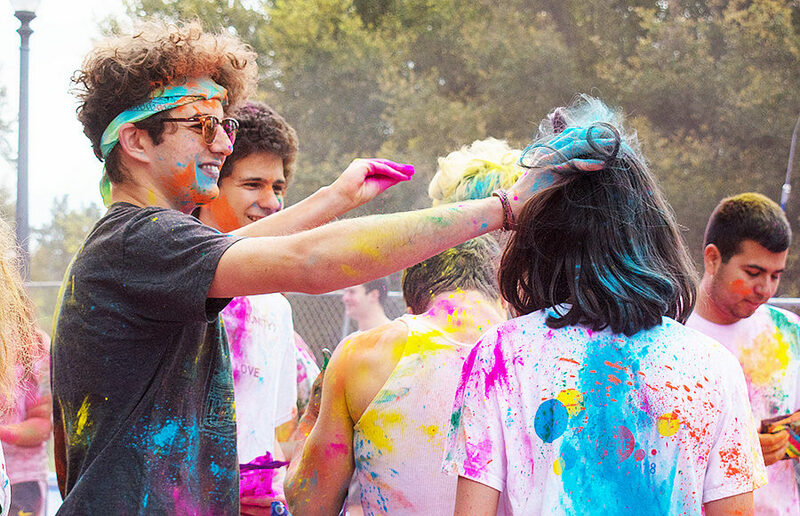 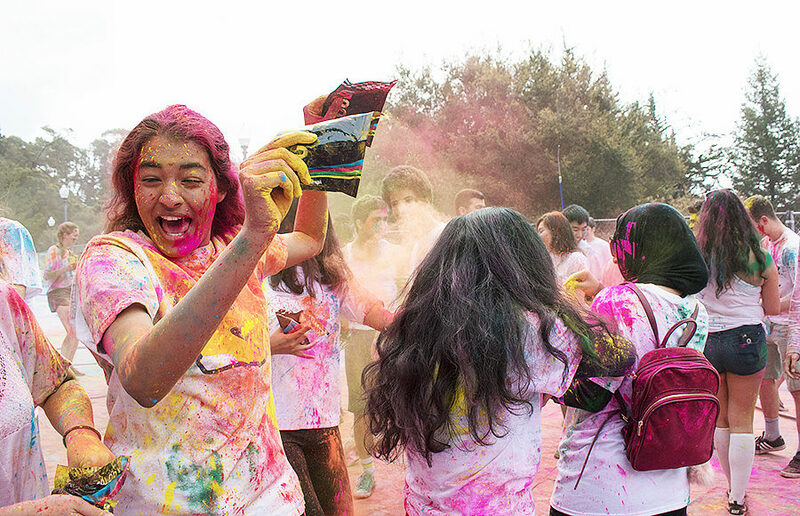 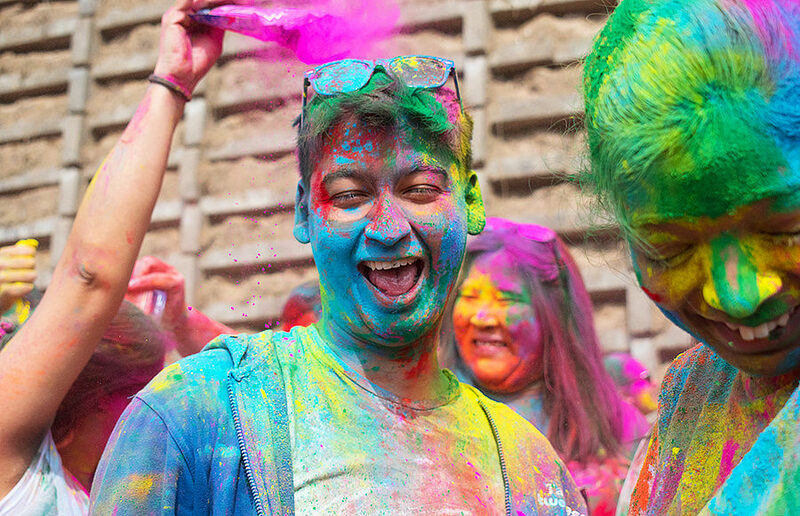 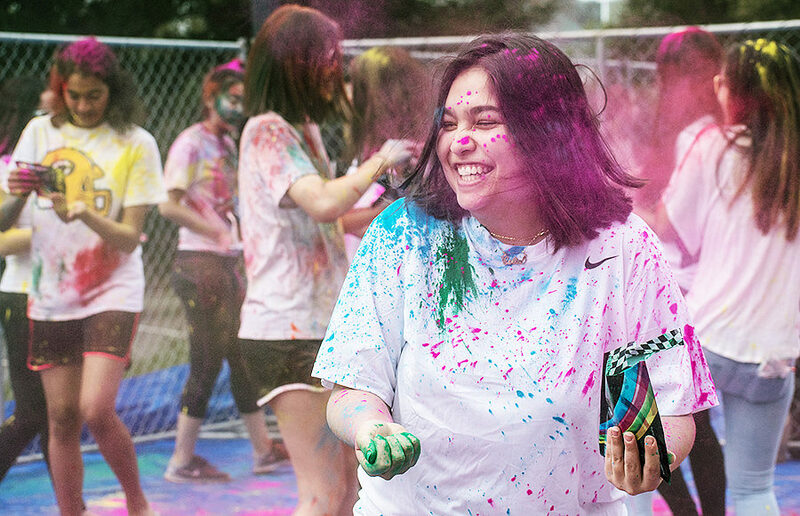 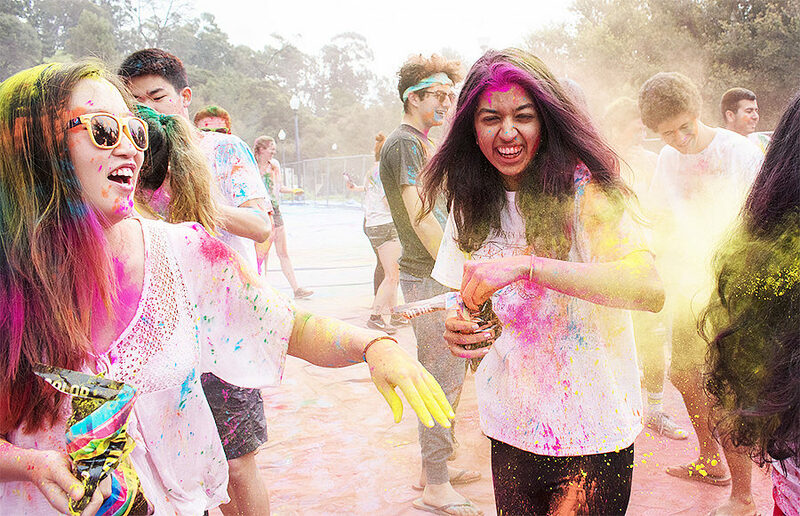 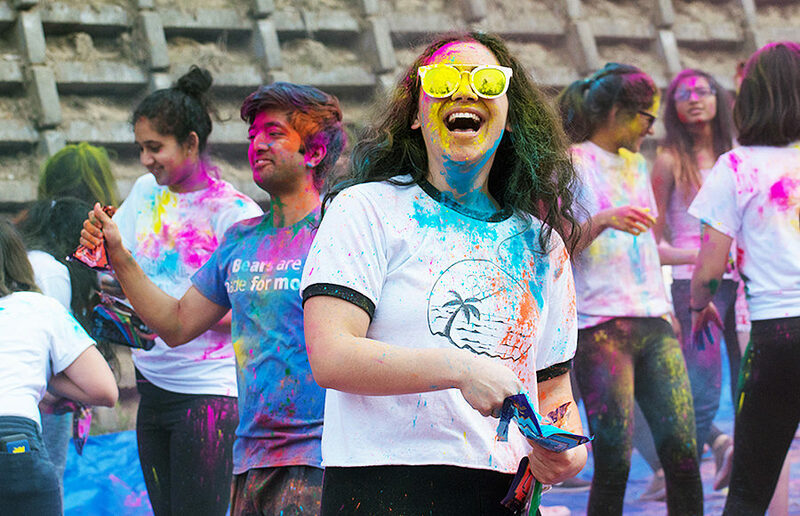 Attendees laugh while using the powder from color packets sold by the Indian Students Association. 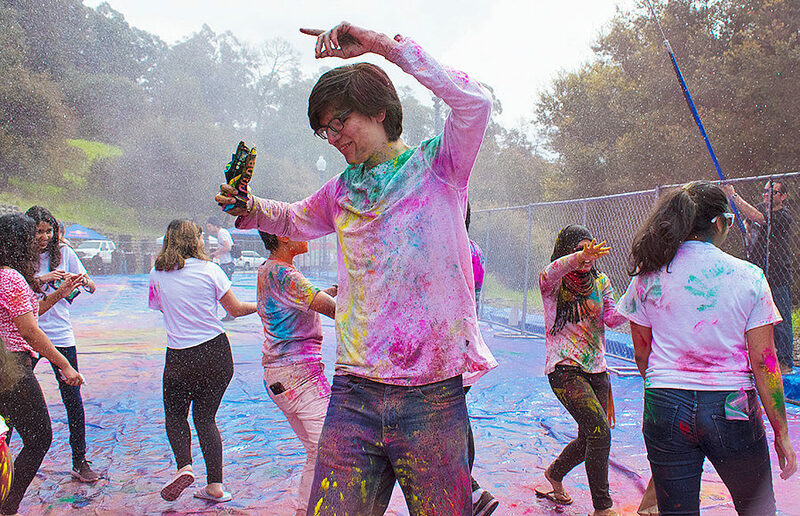 Attendees dance to the music while flaunting vibrant colors for the spring festival. 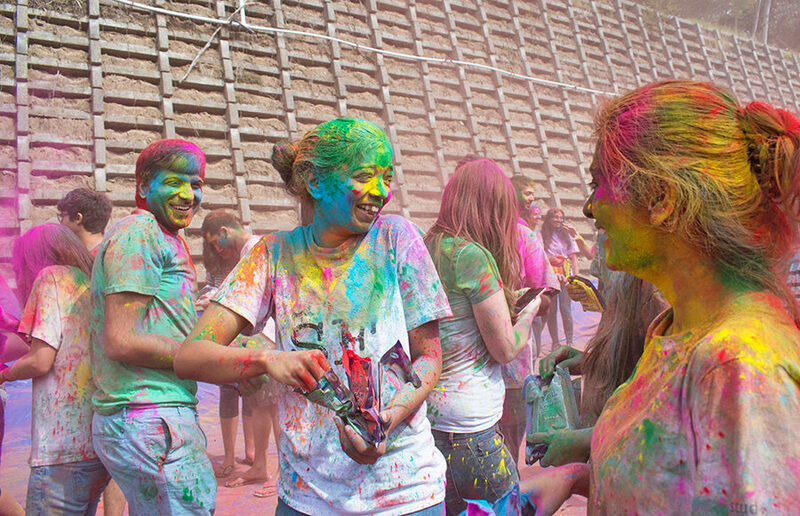 Participant smiles underneath layers of brightly colored powder.